Leonardo da Vinci International Airport, more known as Rome Fiumicino Airport is the busiest Italian airport, so it is not a rare case of getting lost due to its size and number of terminals. With the traffic over 40 million passengers in 2017, it is also one of the busiest European airports. 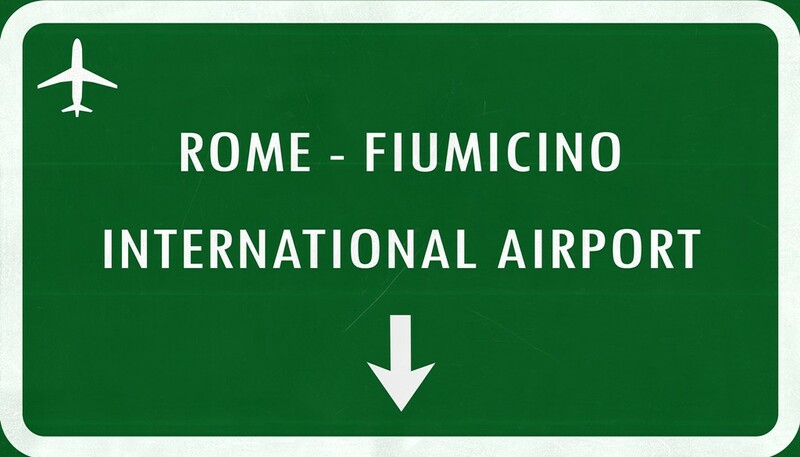 The location of this airport is 35 km west of Rome’s historic city centre. 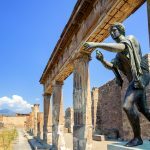 Public transport: Since it is one of the major Italian airports, it is well-connected to the Rome city centre, more specifically to the Rome Termini station, right next to the worldwide famous Colloseum. Among public transportation, you can choose between train, regular bus or a shuttle bus. Train: The Leonardo Express is the direct train driving on a route between the airport and the city centre. The train departs every 15 to 30 minutes, depending on the traffic and the crowd. The one way ticket costs 14,00 € per person. It departs from the platforms 23 and 24 on Termini station, with the first train going at 05:35 a.m. and the last one at 10:35 p.m., while the first train from the airport departs at 06:23 a.m. and the last one at 11:23 p.m. There is no limit on luggage. 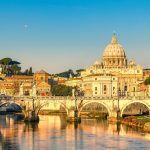 You must buy dedicated ticket; passengers are not allowed to travel with an FL1 ticket fair (8€ from the Airport to Rome). You can also use the metropolitan train FM1, via Rome Metro, which links the Fiumicino Airport to the Roma Tiburtina, Fara Sabina, Poggio Mirteto and Orte. The FM1 does not stop at Termini. Get off at Tiburtina Station or at Ostiense Station to connect to the Rome Metro. Ticket costs 5,50 € + 1,50 € for a metro ticket. Public bus: The bus stop is located outside the terminal 3. You can buy the ticket at all tobacco shops (you will see the sign ‘Tabaccheria’). Buses take about 45 min to reach the Termini station in the city centre, but it may vary due to the traffic. TAM Bus: the ticket costs 5,00 € per person (return ticket 8,00 €). From the airport the TAM departs from 08:00 to 23:00, whilst from the Termini station it goes between 04:30 and 20:30. Terravision shuttle: the ticket is 4,00 € per person, the shuttle operates on the route from 05:35 to 23:00. It is recommended not to buy tickets online; there are many negative reviews on this service because one may have to wait a while for an available seat, no matter the reservation. The journey takes 70 minutes. Cotral night bus: this line goes from Tiburtina and Termini stations, for a 7,00 € ticket (if bought on bus, 5,00€ in advance). This is the route for those who miss all bus and train departures, check the schedule. Taxi services: You cannot miss the distinctive white taxi cabs outside the airport. 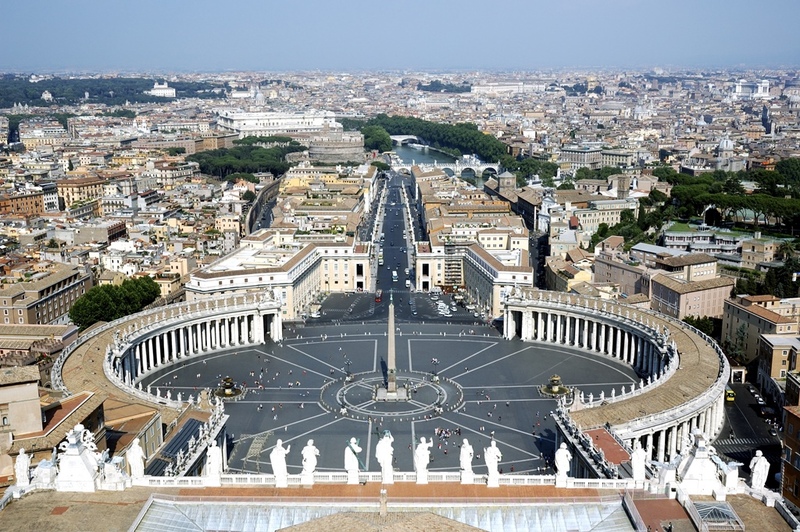 The fixed price for a drive to Rome city centre from FMO and vice-versa is 48,00 € (for up to 4 people). You will also have to pay for luggage, 1,00 € per piece. The journey takes approximately 45 minutes. Transfer: You have several companies offering transfers from the Fiumicino airport, unfortunately there is always a possibility that your transfer does not show up or comes too late, so you should be careful when booking a door-to-door tranfer. Also, the prices are the same as taxing a taxi (about 45,00 €), which at least is more reliable. 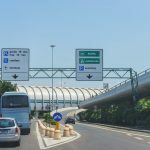 Renting a car at Fiumicino airport: If you prefer reaching and exploring the city by yourself, you should rent a car online or do it on the spot: located in Torre Uffici 2, they are easily reachable via the pedestrian tunnels which connect the terminal buildings to the Multilevel-Comfort Parking structure. Signs to the rental car area are located in the Arrivals Area. Renting a bus at Fiumicino airport: If you planned a holiday with a larger group of friends or relatives, one car may not be enough so you should consider renting a bus. From FMO to Ciampino Airport: In case you need a transfer between the two airports, you can use Rome Shuttle, which takes you to your terminal in about 30 min (40 km of distance). 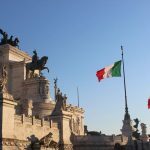 If you prefer public transport, take the train from FMO to the city of Ciampino, and from there take the bus to the Ciampino airport (schedule). From FMO to Civitavecchia Cruise Port: Civitavecchia is a medium sized town about 80 km northwest of Rome and a major ferry port as well as cruise ship port. Since there are no direct lines between the port and the airport, you can either rent your own vehicle or use the train. However, you have to go from the airport to the Roma Termini station and there take the train to reach Civitavecchia. The journey takes approximately 70 – 80 minutes and the lines run twice per hour. A: No, there are many bus and train lines running until midnight, but in case you miss all of them, you can take the Cotral night bus for 7,00 € per ticket, it will take you directly to the Termini station in Rome historical centre. A: Of course, you can find (and even book online in advance) Hilton Garden Inn Rome Airport within a distance of 1.6 km from the airport. It is reachable by Airport Shuttle service provided by the hotel from 05:00 a.m. to 01:00 a.m. It also offers full room equipment and free Wi-Fi. A: Yes, of course. 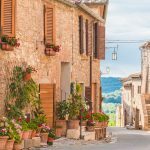 The best way to do so is to take the bus or train which take you directly from the airport to the city centre and is the most convenient way of transportation. Also, if you don’t feel like dragging your luggage around, you can easily leave it at the airport since there is luggage storage located in Terminal 3, International Arrivals, and operates every day from 06:30 a.m. to 11:30 p.m.